Description: ACCDB Password is advanced and extremely fast password recovery tool for MS Access databases with strong encryption (.accdb, .accde, etc.). Several password search attacks can be configured and queued: dictionary, brute-force and mixed (combinations of independent dictionary, brute-force and fixed parts with modifications) for precise search setup. Highly optimized code and GPU (AMD, NVIDIA, Intel) utilization guarantees fastest recovery speed. Description: Access 2007 Password by Thegrideon Software allows you to reset password of any encrypted Access 2007 database (.accdb) regardless of its length and complexity! The processing time is approximately equal to just 5-6 characters password search with the fastest software. Access 2007 Password also allows you to re-protect modified database (encrypt back with unknown password), so protected database can be edited without password recovery. 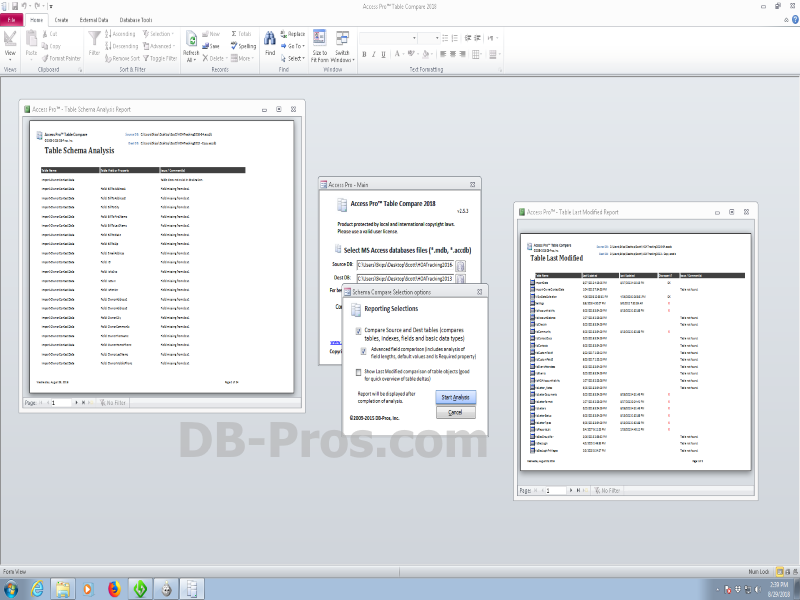 Description: Advanced tool for MS Access 2000-2016 (.mdb, .mdw, .mde, .accdb, .accde, .accda, ...) analysis, recovery and preview as well as password recovery and protection removal. Recovers deleted Tables, Records (Rows) and Columns. Data and reports can be exported as .csv or .xml. Properties editor is available as well as VBA source code viewer. Instant password and user-level security records recovery for .mdb and high speed recovery engine for .accdb. Description: Access Password by Thegrideon Software is advanced MS Access database (mdb, mdw, mde, etc.) password recovery tool. With this tool you can recover your database passwords, user-level security records (logins from .mdw) or users and groups ids to recreate lost system.mdw (Workgroup Information) file. Access Password recovers data instantly and works with all MS Access 2.0 - 2013 databases. Description: Access Pro will expertly analyze table fields, data types and properties, primary keys and indexes of Access tables. Whether you need to analyze one table or 100 tables, Access Pro will examine the 2 database (.accdb or .mdb) files and generate a comprehensive report detailing the differences. Description: Access2MySQL Pro is an effective converter which performs MS Access (mdb) to MySQL and MySQL to Access conversions. Features: Unicode Support, Primary keys and Indexes conversion, Interactive (GUI) mode / command line mode, Built-in scheduler, Renaming of tables, fields, indexes before conversion. There is an ability to save data to PHP script or to a dump file that allows you to get over the restrictions on access to MySQL database if any. Description: Active Table Editor enables end users to edit any table. The administrator designs the look of the application for the end users by editing user menus, security, menu items and data entry forms. All this complexity is left behind the scene for the end users, who can see and edit only that data, which was allowed by the administrator. Description: Address Validator (USPS address verification, international address validation): a free, easy-to-use tool from http://www.address-validator.net to check any U.S., Canadian or international address (free for 100 addresses): + Verify U.S. and Canadian addresses (USPS/CASS certified) + Validate international addresses in 240+ countries worldwide + Address correction, standardization and re-formatting according to international standards.